Papago Park Mountain biking can have a bad reputation… but it also has great climbs, rad descents, technical sections, fun obstacles and you can put together as little or as many miles and as much climbing as you are feeling. 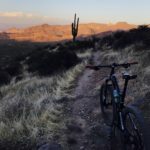 The map of Papago on here does not show the south side of Papago Park including the bike park, the sections just north and south of Curry and other trails here and there throughout the park. 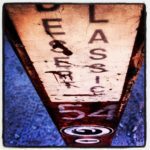 The climbs: There are a mix of loose steep climbs, technical climbs (including a challenging large amphitheater stair climb) and also some smaller faster rolling climbs. 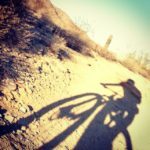 Papago can help you prepare for most other trail climbs. Down side, no prolonged climbs. 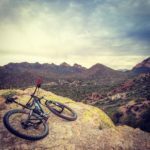 Descents: Papago has a mixture of rolling and fast descents, embedded rock sections, loose sketchy descents and areas of chunky stuff (south of Curry, by the hole in the rock, the small butte next to the golf course and many other random places). Technical sections: Many of the climbs and descents have small technical sections in them. There is also a bike park south of Hunt’s Tomb that has a fast run through it, various jumps and some steep chunky descents where you can create your own lines. Fun obstacles: The aforementioned bike park can be a lot of fun with climbing, descending, jumping and fast lines that make you feel like a rock star. Stair climbs, larger red rock sketchy climbs and descents (you gotta find them, they are there) and random jumps throughout the park. Random stuff: You may find abandoned homeless shanty towns, active homeless shanty towns, random clothing artifacts (i.e. Sports bras, pants, shirts, etc. ) and at various times and locations you may have a group of people cheering you on. You will likely have the trails to yourself because of the generally few numbers of hikers and other riders. 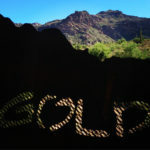 If you can, go with a Papago local who can show you all the funnest stuff and the secret areas. There are restrooms and at least two water fountains for water refills. 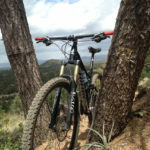 If you are creative you can put together a 20-30 miler and 1000-2500 feet of climbing with minimal re-riding of trails. 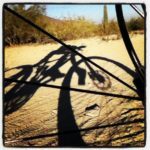 You also tie in some road riding if you like to mix it up with adding in Camelback area hills. 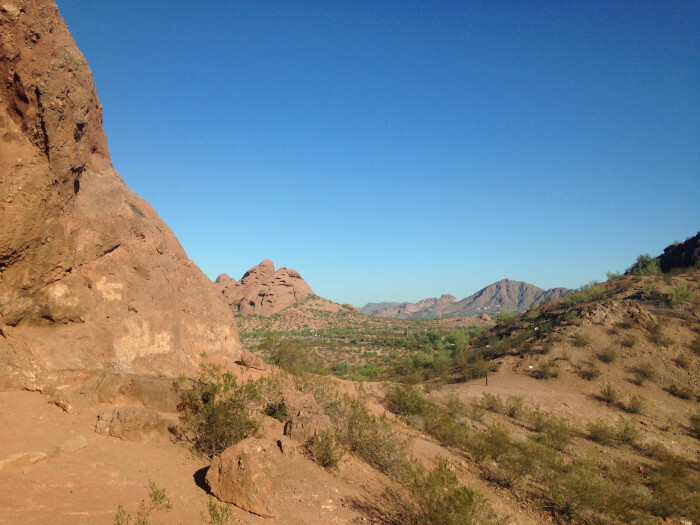 In closing, if you go to Papago Park with a open and creative mind you can make a banging ride out of it. Papago is great. Not so much though that i recommend someone travel a relatively long distance for. It really has 2 main uses. One for bikers that live close can use it to a kinda of circuit training. The other is to newcomers of the sport. With varying intensities throughout. It can give you the foundation to go bigger. 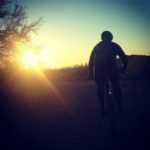 I try and ride Papago at least four times a week in the winter because it’s an easy 5 minutes from my home. The key is to loop different trails together to maximize the climbing. Once you get to know all the little secret sections it actually becomes pretty fun and more challenging technically. I generally start near the buttes loop and head over to the hole in the rock. After that I climb to Hunts Tomb and then follow the trail down to the 202. On my way I get to see Mars like red rock buttes, beautiful lakes, the zoo, canals, tombs, abandoned rail cuts, and Tempe Town lake! 5 stars! 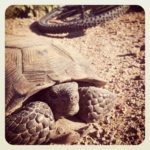 Agreed, Papago is best suited to introducing newcomers to mountain biking. I once took a friend who was a total newbie to the trail at White Tank Mtn, and I quickly realized it was a bit too much for her. 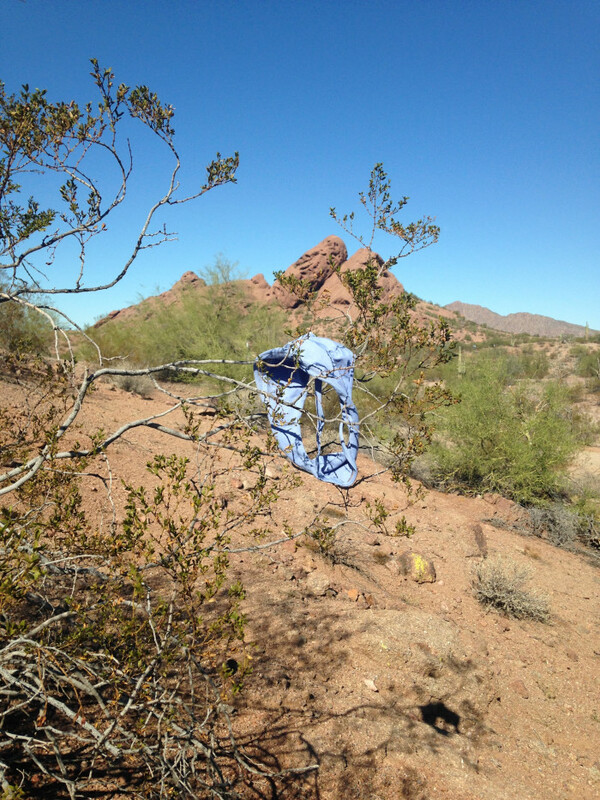 Later, realized… I should have taken her to Papago. 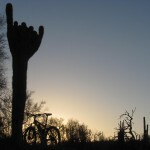 ‘frank’ is a pessimist… GO WEST to find better trails… It may not be South Mountain, but it’s a start!!!!!!! BE OPTOMISTIC! Negative gets you nowhere, POSITIVE GETS YOU WHERE YOU WANT TO BE!!!!!!!!!!!!! 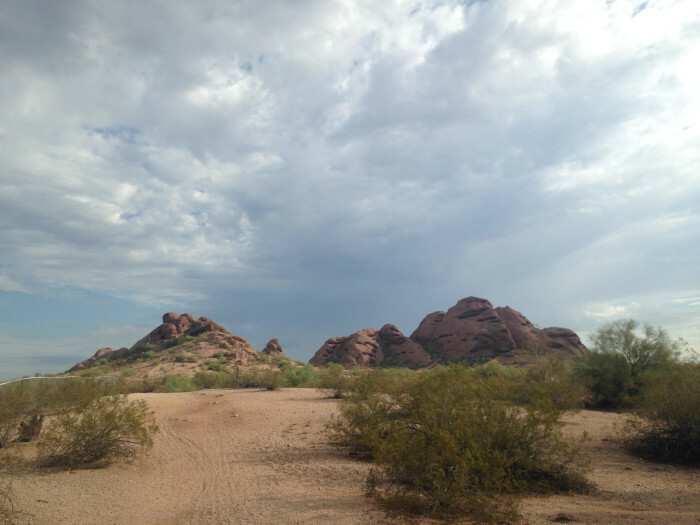 Papago Mountain is a GREAT learning experience! DON’T LET THE pessimists GET YOU DOWN!!! THINK OPTOMISTIC, ‘YOU CAN DO IT’!!!!!!!!! This is a great place to ride. I like that the trails are so short. 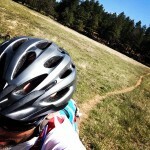 You can string a long loop together pretty easily, never riding the same trail. I like that it is so close to everything in Tempe. Should not have gotten such a terrible review. No technical or strenuous, but fun all the same. 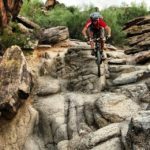 GOOD SHORT TRACK FOR BEGINNERS TO LEARN TRAIL RIDING. ALSO A GOOD PLACE TO GO FOR EXPERIENCED RIDERS DURING THE WEEK WHEN YOUR PRESSED FOR TIME AND YOU STILL WANT TO GET A GOOD RIDE IN. I USUALY RIDE IT 4TIMES A WEEK BEFORE WORK. 5MILES FROM WORK MAKES IT EVEN BETTER. BUT OVERALL A GREAT PARK FOR ANYONE. Big butte loop, then Golf Loop, then Big Butte again. Better than nothing and 3 miles from my house. 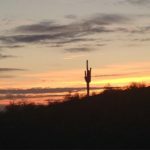 The best trails in Papago are the Golf course loop, the two buttes on the West side of Galvin Parkway, and the trails on the North and South side of Curry road. It’s no Trail 100, or National, but it’s a great area to introduce newcomers to trail riding. It’s also sentimental to me because that’s where I first started riding trails. Before I knew it, I was eyeing the hills across the Valley. South Mountain, McDowells, Estrellas and White Tanks. It was a good place to start. 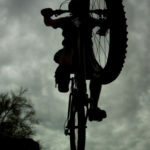 I still take my wife and kids riding at Papago. The bunny hill of Phoenix. I like it. I’m sure pappy will grow on me. You are so right, this is where you go when you are learning to ride. No doubt, the park being located right in the Tempe hub has it’s advantages for locals and ASU students. I’m still working on the Final review of Papago, I’m sure I’ll be nicer than I was in my blog entry. This is the place you go to first learn how to ride. It’s better than the canals as it contains canals, ponds and such itself. i take my nephew here. Showed him the indian huts. Can easily ride to Tempe town lake as it is connected. It is what it is. Not challenging for experienced riders, but is a beautiful park inside the city with water features. Not Phx mts or south mnt, but the bunny hill of phx.